Are you tired of creamy and sticky facials? Here is the remedy to create your own natural facial peels right in your kitchen. Find out how you can have a beautiful complexion by making a soothing and refreshing mask that will clear your pores and eliminate dead cells leaving a spotless skin behind. 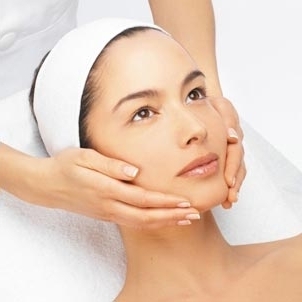 Facials are top notch elements of the skin care routine. Especially if we long for a constant flawless skin. Indeed, their application might require a few minutes, however it is worth making a habit of their use to remove the oil excess and dirt from the surface of our complexion. Even more because a careless skin care can lead to different disorders and acne. The key to achieve the desired effect with facial lies in the proper preparation of the skin for the peeling. It is essential to remove makeup and create a clean canvas for the following rituals. It is vital to choose the one that matches your skin type as: apricot or carrot for normal to dry skin, cranberry for all skin types, tomato or lemon and grapefruit for the oily complexion. Mix these ingredients into a large bowl and put it into the microwave. The gelatin should melt with the juice, then place it into the fridge until you'll notice that it thickens. It may take about 20 or 30 minutes, be careful it should not set completely so that you won't be able to apply it to your face. When the mixture got the right texture, place it to your complexion by leaving out the area around the eyes and eyebrows. Leave it on for 15-20 minutes, when it is dry enough peel it off gently. This recipe is rather a soothing facial than a peel since it doesn't require the use of gelatin. However, the fresh fruits will have the same effect as the traditional peels. Make a fine paste of the ingredients and place it into a large bowl. Warm your skin with a gentle and clean cloth to enlarge the pores and increase the efficiency of the treatment. Then add the honey to the fruits and make a puree. Apply it to your cleansed face and leave it on for 20 minutes. Finally wash it off with cold water to shrink the pores naturally. The AHAs from these two fruits will eliminate the dead cells. 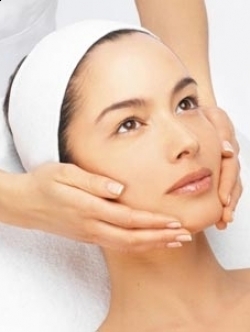 The following peel can serve both as a normal and an anti-aging facial peel. The ingredients are all natural and will treat the different damages our skin may have suffered due to the rays of sun, pollution or inappropriate skin care. Make a paste of the cucumber and then strain the puree through a sieve. Keep the juice separated for a while. Now heat the green and chamomile tea. Finally add the tbs of plain gelatin that will make the actual peel. Warm it up until the jelly melts, when it's done, pour it into a bowl and add the cucumber juice and the aloe Vera. Leave it to cool down for 25 minutes. Apply this to the neck and give the peel 20 minutes to have the desired effect. Peel off the mask when it is completely dried. Wash the face off at the end with lukewarm water. Learn how to make soothing Homemade Facial Peels for a beautiful complexion.